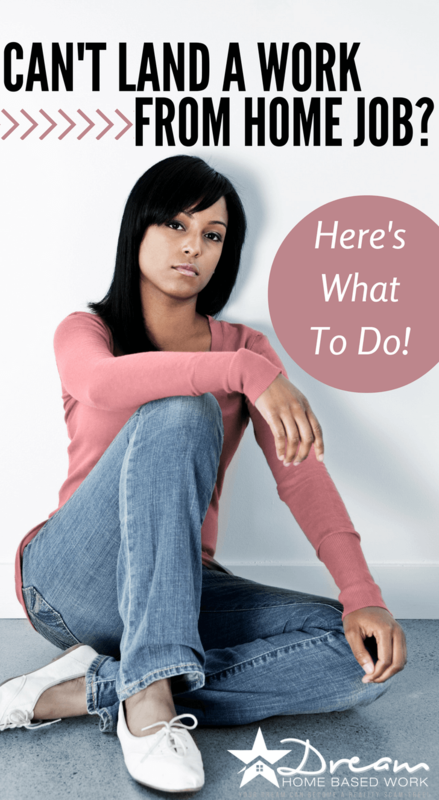 If you want to work from home, there are plenty of legitimate opportunities available to you. On this site alone, there are hundreds of articles dedicated to helping you find the right work-from-home job. However, if you’ve been applying for various opportunities with no luck, you might realize that landing a work-from-home job is more difficult than it seems. That doesn’t necessarily mean that you should lose your motivation or that jobs are scarce as there are new leads popping up each day. If you’re having trouble landing your dream work-from-home job, be sure to follow these tips. There are tons of scams online and what seems like your dream job might not be a good offer at all. If you are finding lots of opportunities that interest you but just don’t see right or are raising red flags, you may be looking in the wrong places or attracting all your energy to unworthy leads. If you respond to a job ad and are asked to do something weird like send money for ‘training materials’ or start-up costs, you’ll want to avoid those opportunities and look on a more reputable site like this one. Be sure to read the job ad carefully and make sure your response includes everything that was asked whether it’s a resume, cover letter, work samples, etc. Hiring managers don’t like to deal with a candidate who can’t listen and follow simple directions. You may think you’re saving yourself time by skipping the questionnaire or cover letter portion of the application, but you could be doing yourself a disservice. Also, reread the job ad, application instructions, and all email correspondence 2-3 times before responding just to make sure you recognize and understand everything you’ve been asked to do. Is your resume out-of-date and unrelated to the position you’re applying for? It’s best to go over your resume make sure there are no grammar or spelling areas and that the work history you’ve listed is relevant to the job. For example, if you are applying to be a tutor and you only have experience working in retail, your resume may not be as helpful in terms of helping you land the job unless you can add some additional experience that demonstrates you’ve performed some of the job tasks before whether it was volunteer or paid work. If you’re trying to break into a new niche, being completely honest with the employer is the best route to go and you can also try to share experiences and examples from your life that relate to some of the duties outlined in the ad even if you’ve never health that position before. Qualities like being a team player, meeting deadlines, working independently, and communicating well with others, are all skills that companies look for in a work-from-home employee. If you are looking on job boards for work, it may be harder for you to find something depending on how competitive the job openings are. For example, if an ad for a work-from-home job is posted on Craigslist or Indeed, the person who posted the ad could receive dozens or even hundreds of responses from candidates. If you don’t respond in a timely manner, your response can easily be overlooked or buried in their email even if you are a qualified candidate. It’s important to actively search for jobs and think outside the box as well. Try switching it up and reaching out to specific companies instead of answering competitive job ads. If you are looking for a data entry position, simply search for remote data entry companies to develop your own job leads. One of the main reason why you’re not landing a work-from-home job could simply be the fact that you aren’t following up after submitting an application. If you really want a job and haven’t heard back in a few days about your application status after you’ve turned everything in, be sure to send a friendly follow-up email to check in. Sometimes, recruiters get so bogged down with everything that they forget to answer and respond to emails the first time. Sending a quick follow up can bump your email to the top of their inbox and remind them to look at your profile and send you more information about the position or ask you to interview. The more communication you have with the recruiter or hiring manager, the more likely you are to land the job since it shows they are interested. I know freelancing isn’t as easy to get into and requires quite a bit of work upfront, but if you’re not getting hired by someone else, you always have the option of creating your own work by offering services as a freelancer. You’ll have to create your own online platform, build up your network, and market yourself to clients but you can also enjoy working remotely while setting your own hours and rates. The best freelancing niches right now include: writing, virtual assistant work, graphic design, and programming. Just like with searching for a traditional job, you can’t just look in one place and expect to find what you’re looking for, or get too excited during the interview process only to find out you didn’t get the job. When searching for an ideal work-from-home job you need to be persistent and exhaust all your resources. 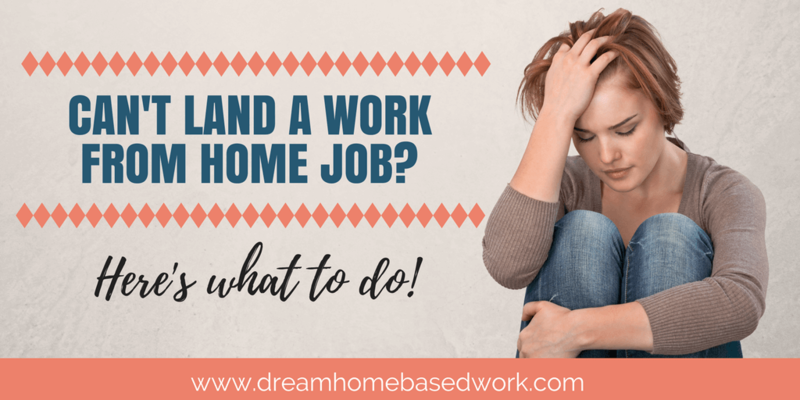 Check on job boards, search online for keywords, use sites like this one as a reference, tell your family, friends, and neighbors about your goal of working from home, connect with people on social media and join Facebook groups. Do whatever you have to do to create a diversified array of options. One day I was talking to a neighbor I had just met about wanting to work from home because I was being drained from my office job at the time. She ended up telling me that she had worked from home for a few years and gave me the name of 2 companies she’s worked at. I would never have found out about them if I didn’t start a conversation with her and open up that doorway. When you're on a journey to find your dream work from home job, it’s important to keep your eyes peeled, explore your options, and check to make sure you’re not making any common mistakes that could be holding you back from being successful.